Hannah was assaulted while walking her dog in a park recently. Her lovely friend Miffy reached out for someone to design a t-shirt to support her. I put my hand up. Miffy explains why she so passionately wanted to do this. When a woman, a friend, a colleague walks in a park during the day, she should be able to do that without threat or fear of violence. Wearing a gay pride t-shirt does not invite or warrant hatred, on the day Hannah was punched in the Park for her t-shirt, she should have received support instead of an attack. I wanted to do something simple and show support and came up with my t-shirt idea but it took reaching out to artist and designer Bonnie Greene that has brought my t-shirt to life. Bonnie has done this work and helped with this project for no monetary gain but to be a part of a community of support. Thank you Bonnie. The t-shirt I am going to wear shows my support and with no pressure or hidden agenda, that Hannah is my friend and hurting her or anyone because they are gay is unacceptable. 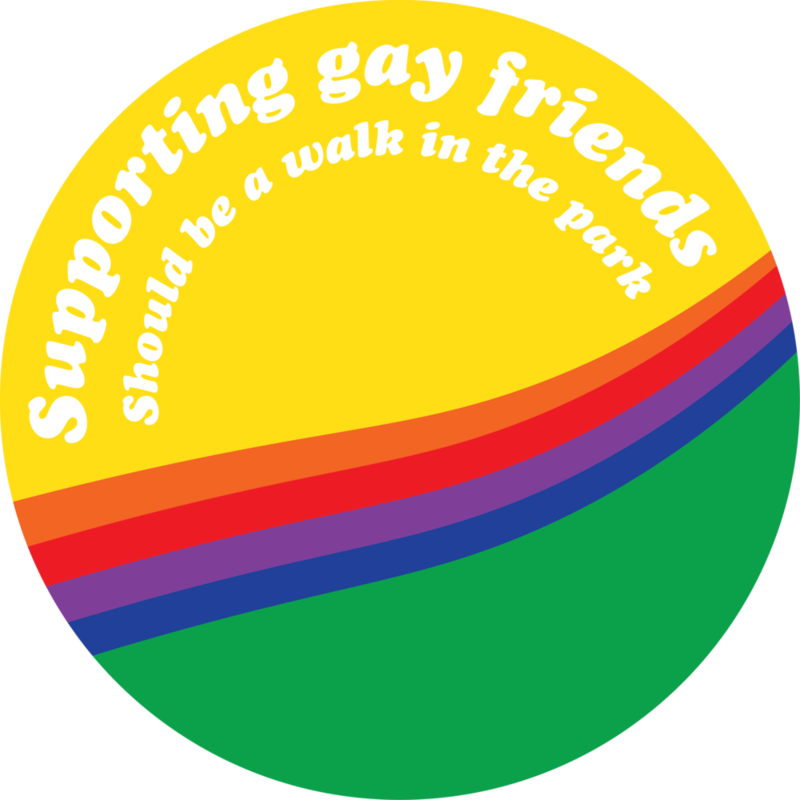 Here is the information and link you can use to print your own “supporting gay friends should be a walk in the park” t-shirt. Please share and wear with respect to Bonnie’s design, the projects intention and of course, Hannah. You can order your own t-shirt with this design on it, instructions below. 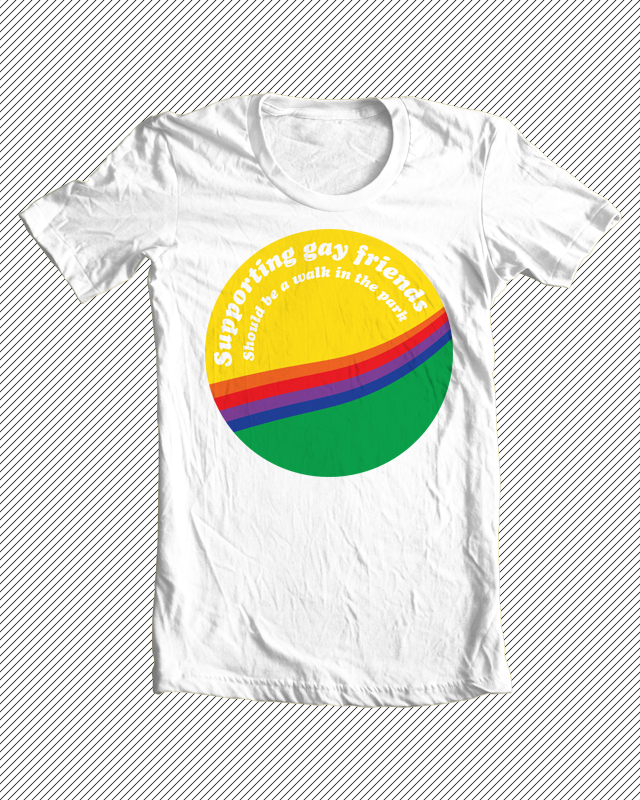 or hoodie or singlet or whatever you'd like to get this design printed on! 3. Choose what you would like it printed on - the choices are endless. 4. Upload the image that you downloaded at 1. It should automatically go to your downloads folder - check there first. You can resize the image and place it wherever you like, within the restraints of the t-shirt printer.